The legendary Jimmy Webb is producing Carly Simon next album that will be released in 2008 (no tentative release date yet announced). 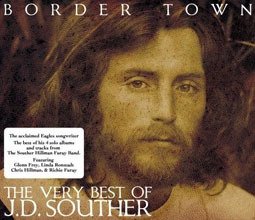 4 songs are penned by Carly Simon and his son Ben Taylor (his father is James Taylor!). According to different sources, Carly Simon new CD will be influenced by South America and Brazilian music styles like Bossa Nova. Carly Simon and Jimmy Webb (producer, arranger, songwriter, piano player and singer) have already worked together in the past. Jimmy Webb sung an original duet with Carly Simon "Spring Will Be A Little Late This Year" on her "Film Noir" album back in 1997. 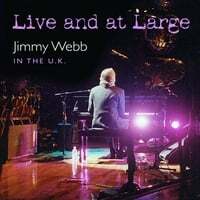 In 2007, Jimmy Webb has released his own CD in concert (19 sequences) : "Live and at Large: Jimmy Webb Live in the U.K." singing and playing greatly some of his classic stuff more known by interpretations of artists like Richard Harris, Art Garfunkel, Frank Sinatra, Rosemary Clooney. 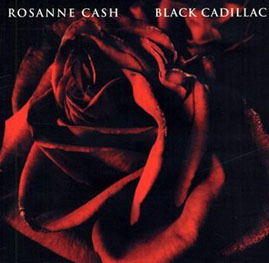 This album can be ordered at CDBaby. Steely Dan is setting its sights on a new album, followed by a summer 2008 tour. Donald Fagen told Reuters that he's "back into songwriting mode" -- both solo material and with Steely Dan. Donald Fagen revealed that he is "talking with" co-founder Walter Becker "about a Steely Dan album." Donald Fagen added, "We are planning to go out with Steely Dan in the summer (playing live) and maybe next fall (2008) I'm hoping to go out with my band ...We are having a lot of fun in our old age." 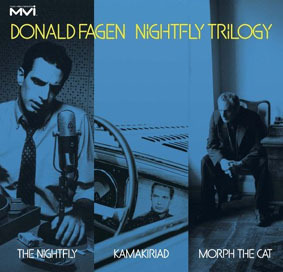 Donald Fagen recently released a boxed set of his three solo albums called Nightfly Trilogy. 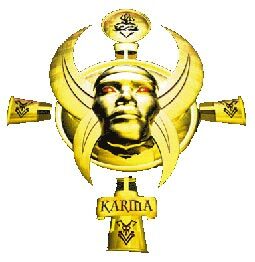 It includes the albums -- "The Nightfly," "Kamakiriad" and "Morph the Cat". The last Steely Dan album, "Everything Must Go" has been released in 2003. Sheryl Crow has been busy working on her new album "Detours" that will be released on February 5, 2008 (A&M / Universal). 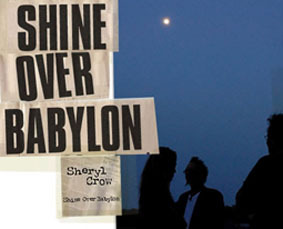 The first single "Shine Over Babylon" is already available since October 30, 2007. Sheryl Crow "Detours" will be produced by Bill Bottrell who had already produced her debut "Tuesday Night Music Club" LP. "This is the most honest record I've ever made. It's about being forced to wake up. When Bill and I got together again to work on this record.....it was such a cathartic and comforting moment. As you will see here on my first webisode "post" we love working together! He is one of my most dearest friends and I'm thrilled that we are back in each others lives! " Sheryl Crow wrote in her blog. Sheryl Crow has already won 9 Grammies during her career and "Detours" will be her sixth album. FM Rock / Melodic Hard Rock supergroup Crown Of Thorns is working in Los Angeles on their new album with great producer Bob Clearmountain. Frontman Jean Beauvoir says: "Yes, we are very excited to make a new record. It's been quite a while so we've had to chance to recharge our batteries and build up our creativity." A release of the new Crown Of Thorns album is due in the first half of 2008 via Frontiers Records (Italy). The Doobie Brothers now look at songwriting and recording a new album for everyone's enjoyment! Also, Pat Simmons and Bruce Cohn are working on a DVD retrospective project of the The Doobie Brothers' wild and crazy history from 1970 to the present. The Doobie Brothers performed over 80 concerts, co-headlining with Lynyrd Skynyrd, Steve Miller and Peter Frampton. They are also planning some co-headlining tours for the summer of 2008 with some great artists, and will be announcing those dates in the near future. 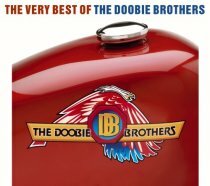 Th latest release of the band is The Very Best Of The Doobie Brothers released on Rhino Records in early February 2007: 2 CDs featuring 33 tracks! You can obtain more news and more features at the official Doobie Brothers website. "Christopher Cross and I have already written a few songs for his new (non-seasonal) album, and we have the beginnings of at least ten others. Two early titles are "November" and "Leave It To Me." More details at the top of 2008." 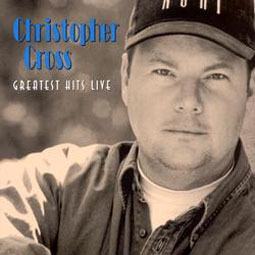 "Walking In Avalon," was Christopher' Cross seventh album and last release back in 1998, a double album with one studio CD (coproduced by Rob Meurer) and a live CD containing a 74-minute live concert (on CMC International). 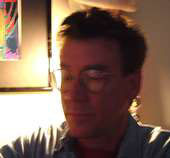 Let's also discover Rob Meurer latest stuff. He have several tracks available from an upcoming album that you can listen to at Rob's MySpace page. His music is quite different from what he does with others artists. He goes by the name of Alvah (my actual middle name). A very pleasant music and inspiration with a incredible sense of humor and fun. This is mostly Pop Rock and very soft music. Some players on Rob album on the way: Johnny Lee Schell is a great guitarist and bass player who played with Bonnie Raitt for many years. He is also the recording engineer. Berton Averre is the lead guitarist of The Knack (and co-writer of "My Sharona" and their other hits). On a side note, Berton and Rob Meurer have been writing musical theatre together since 1994. Joe Sublett is an old Texas friend and a killer tenor sax man. 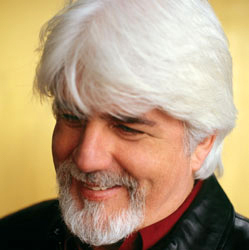 Joe has played with Stevie Ray Vaughn, Taj Mahal, Little Feat, The Band, Bonnie Raitt, and dozens of other greats. Larry Tuttle is featured on bass but is also one of the very few masters of the Chapman Stick. So, very interesting stuff and we are eager to know more about Rob's stuff!